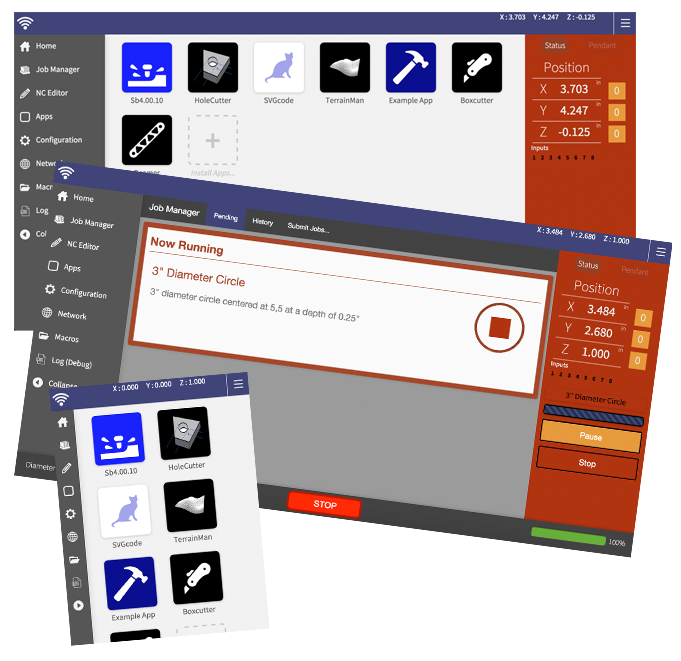 The Handibot® Smart Power Tool Adventure Edition is run by FabMo. FabMo is an open-source, digital fabrication and motion platform of software and hardware. 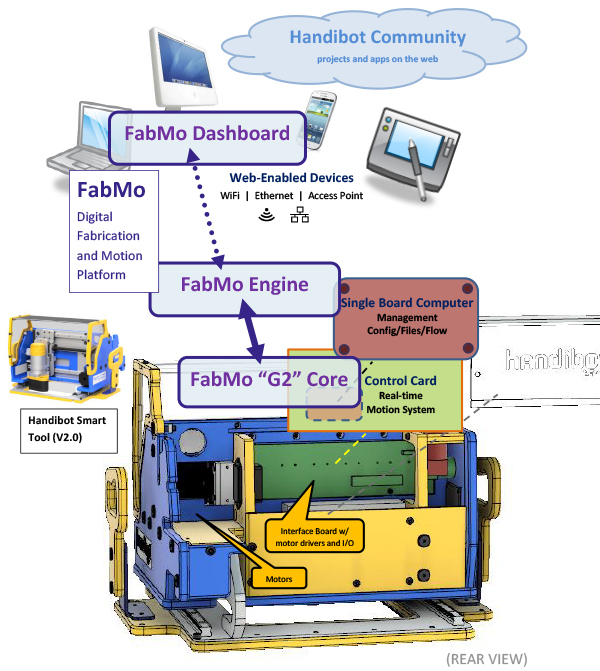 Originated by the Handibot team at ShopBot Tools, FabMo has a powerful core motion system, G2, created by Synthetos. FabMo is open-source and is available to be used and adapted by anyone, to run every digital smart tool imaginable, today and tomorrow. It offers wireless access to your Handibot via most web-enabled devices and provides easy use, smooth tool motion, and a flexible and configurable work flow. See "Introduction to Handibot Software and Handibot Apps"